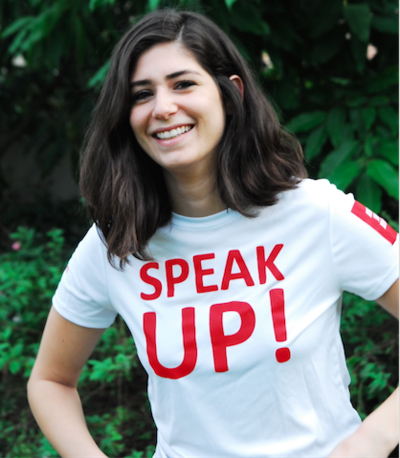 What is the ASA Speak Up campaign? This campaign is our program’s organized effort to encourage student athletes to SPEAK UP about concussion symptoms! We do not want athletes hiding symptoms. We want students to realize a concussion is a brain injury! Being honest about symptoms is the most important first step in the treating and healing process. Scroll down to see how student athletes like you joined the movement to SPEAK UP. Do not hide concussion symptoms! Tell an athletic trainer, coach, parent or teammate. This is your brain, your life and your future! Click here to see all the ASASpeak Up videos submitted by student athletes, coaches and athletic trainers! After attending the ASA program, Khaleel learned the signs and symptoms of concussions and decided to SPEAK UP. Every shirt purchased is a donation to help fund sports safety through education.